AKD Infotech division offers state of the art solutions to its patrons which help them learn more about their customers. Information pertaining to Sales, marketing effectiveness, responsiveness, complaints, market trends is brought together by the CRM solutions. The key strategy is to leverage enterprises in their operations by putting key information related to their customers at their fingertips. Through advanced Software and Hardware systems, our patrons can gain superiority in the methodologies used to maintain customer loyalty and satisfaction. 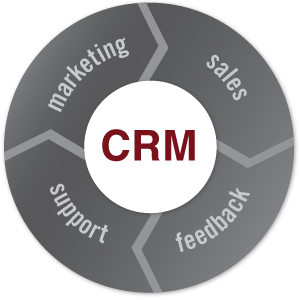 We employ the best CRM principles and methodologies at AKD Infotech to keep our own customers happy. This is just a small way to say that we simply don't preach....... we do. Please give us an opportunity to serve you as our valued customer by assisting you to do the same with your customers.